6540 Archives - Inforce Computing, Inc.
TableConnect®, powered by the Inforce 6540™ SBC, is the latest multi-touch connected “table device” that provides access to millions of applications available on Android based phones and tablets, but now on a much bigger screen. So, what’s unique about the sleek plug and play device you may ask, and what are some of the use cases? For starters, the product has a super robust touch surface made out of 4mm safety glass, a projective capacitive touch sensor underneath, and an industrial HD display. Secondly, there is no specialized software to be developed or the need to learn anything new for end-users—just utilize the Android apps already available in the Google Play store. The TableConnect interactive display simply resembles your Android smartphone screen; only that it’s about 100 X larger, making it easier for a target audience to find the right information with a few taps and swipes from their fingertips. Just think of the many different places businesses could use the stylish system—it could be an interactive customer-facing information kiosk at corporate headquarters (portrait, landscape, and table-top modes) or a retail outlet, a collaboration platform in conference rooms, at events and trade shows, or perhaps as an exotic at-home coffee table with an interactive screen that brings together people to hang out and play games. The developer community worldwide for Android apps is legion. Now, those same apps can be optimized to take advantage of a much larger screen to reach out to new customers. The TableConnect device unlocks a huge potential for newer digital signage and interactive display use cases both in the home and at businesses. When the core technology can be integrated into any kind of structure in the future, the possibilities become endless. So, what’s really under the hood? It was fascinating to hear from Johann Rath, TableConnect’s CEO that his smart engineers were able to quickly put together an ingenious system, thanks to the high-end processing capability and versatile connectivity of the Inforce 6540™ Single Board Computer (SBC). His team initially tried to prototype the product with a previous generation Cortex-A9 based SBC that didn’t quite have the chops or deliver the flexibility with customizing the Android OS. Once the TableConnect’s engineers gave the Inforce 6540 SBC a try, there was no turning back. The Inforce 6540 SBC is driven by Qualcomm® Snapdragon™ 805, one of the most powerful mobile processors that can be found in several high-end smartphones. TableConnect engineers were able to easily add new functions and adapt a few things to the open-source Android kernel provided along with the board support package (BSP) from Inforce. TableConnect added several new functions to the Android platform running on the Inforce 6540: Google Play Store and the ability to install 1 million apps; an HID-based interface to communicate with external smart buttons for functions such as Home, Back or orientation change; an internal and external watchdog; an interface to control external displays and active cooling systems, and the ability to change the screen orientation for HDMI devices. 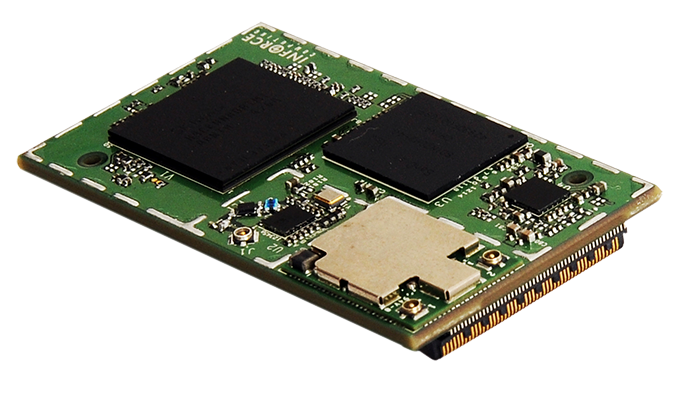 A full-featured Android Board Support Package (BSP) running Lollipop 5.0.2 on the Inforce 6540 SBC and the Inforce 6501 Micro SOM is available for download from Inforce Computing’s TechWeb for registered users. This is a significant enhancement in software support for Qualcomm Snapdragon processor-based embedded designs from Inforce Computing. Want to find out more about the free-and-open-source-software (FOSS) Freedreno Linux graphics drivers or embedded Android for Snapdragon basedInforce 6410 and Inforce 6540 SBCs? If you plan to be at the Linux Foundation’s Embedded Linux Conference (ELC) and the co-located Android Builders Summit, March 23-25 in San Jose, CA this week, check out these really interesting presentations/ tutorials where Inforce Computing’s products (such as the Inforce 6410 and Inforce 6540 SBCs) will be shown in demos. The ELC is being held at the Marriott in downtown San Jose, CA. Also, stop by the Technical Showcase at the ELC (see details below) to see the Freedreno demos running on the Inforce 6410 and Inforce 6540 SBCs. I’ll be there supporting Rob and would be glad to answer any questions you may have about Inforce’s products.